In September 2018, over 350 recovery community members come out to support our Recovery Walk in Ghana. The walk was held in Accra. The theme this year was United Against Stigma of SUDs (Substance Use Disorders). The walk was successful and well attended due to the enthusiastic participation of our recovery community members, their family members and the residents of surrounding community. Recovery Africa, Inc. Board Member Kristen Harper was among the five Americans who participated in the walk. The other Americans included three videographers and photographers; and Linda Milewski, an addiction professional who has been staying at WellCare Ghana and helping Ghanaian women with recovery support. Ghanaian attendees included representatives from the Ghana Prison Service, Narcotics Control Board, Korle Bu Teaching Hospital, National Commission for Civic Education, local schools, youth groups, churches, Recovery Africa’s primary partner Hopeful Way Foundation and other Ghanaian non-profit organizations and rehab centers that provide treatment and recovery services for the local recovery community. 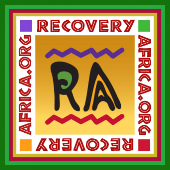 Below are two videos: a collage of images and short video clips that highlight the Fourth Annual Recovery Walk September 29, 2018; and a longer more in-depth video showing footage from the Fourth Annual Ghana Recovery Walk in September 2018, interviews with Ghanaians in recovery, description of alcohol and drug addition in Ghana and the programs of Recovery Africa, Inc. that are helping people who are addicted to alcohol and other drugs.